The driverless transport system that connects Terminal 2 at Munich Airport with the satellite building is to be expanded in its functionality to be able to handle the rising passenger volumes without any problems in the future. 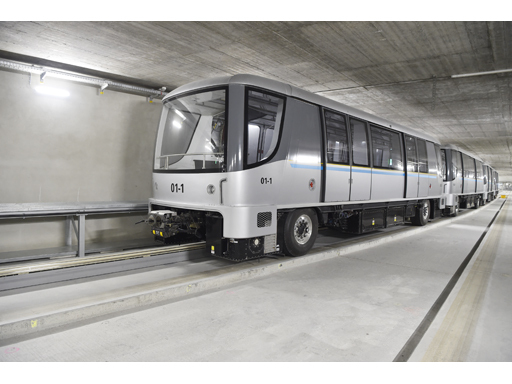 The planned conversion requires intensive test operations, while the "airport subway" is not available for transporting passengers. The planned tests will be carried out in the period from 30th July 2018 to 6th September 2018, from Monday 12 p.m. to Thursday 12 p.m. During this time, passengers will be transported by shuttle buses to and from the satellite building. As the replacement bus service can extend passengers’ journeys to their departure gate by up to 20 minutes, passengers whose journey begins in Munich and who are departing from the the satellite building - i.e. areas K or L - should take this additional time requirement into account when planning their journey. Transfer passengers who need to change buildings for their onward flight are advised to proceed to their departure gate as soon as possible after arrival. Passengers starting their journey in Munich from a gate in departure gate K in the satellite building will be guided to Gates G 61 and G 62 in Terminal 2, from where the shuttle buses depart every two minutes. Passengers departing from the satellite building in departure area L will be directed to gate H 29. From here, the shuttle buses run every four minutes to the satellite building. Transfer passengers arriving in Terminal 2 who have a connecting flight from the satellite building will also be transported to gate areas K and L by these buses. For travellers who arrive at the satellite building, there are also shuttle buses available at the appropriately signposted departure points, which drive to Terminal 2. Transfer passengers whose onward flights depart from Terminal 2 are thus guided to gate areas G and H; passengers arriving in Munich can take the shuttle bus to baggage reclaim and the exit.